West Virginia’s 2018 buck firearms harvest is expected to be higher than in 2017, according to the state DNR. The 2018 West Virginia buck firearms season begins Monday, Nov. 19, and runs through Dec. 1, according to the W.Va. Division of Natural Resources, which estimates that approximately 250,000 deer hunters will roam the state’s woods through the period. Hunting contributes $500 million to the state’s economy each year, and deer hunters spend an estimated $230 million in the state — much of it in rural areas that depend upon deer seasons for a large part of their annual income. It’s estimated to be responsible for 5,400 jobs and $35 million in sales taxes on goods and services in West Virginia. Hunters should consult the 2018-2019 Hunting and Trapping Regulations Summary in all matters regarding this year’s harvest, which is expected to be higher than it was in 2017. Buck firearm season is open in all counties except Logan, Mingo, McDowell and Wyoming. Sunday hunting will be legal on public lands and on private lands with written permission of the landowner. The only Sunday that falls within the two-week buck firearms season is Nov. 25. All deer harvested by hunters in Berkeley and Mineral counties on Nov. 19 and 20 are required to be brought to a designated Biological Game Examination Station. For station locations, consult page 12 of the regulations summary. Hunters should review the regulations summary for detailed instructions concerning bag limits and season dates. The regulations are available at license agents, division district offices, and online at WVDNR.gov. All hunters must use their permanent division ID number to check game. The ID number can be found on annual hunting licenses. Hunters who have registered with the electronic licensing system in the past must use the number they were previously provided. 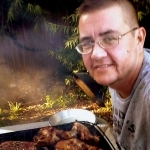 They may also be obtained by calling 304-558-2758 or logging on to WVHunt.com and providing the requested information. Game may be checked by telephone at 1-844-WVCHECK, online at WVHunt.com or at any hunting license agent. All field tagging, transporting and possession requirements still apply. 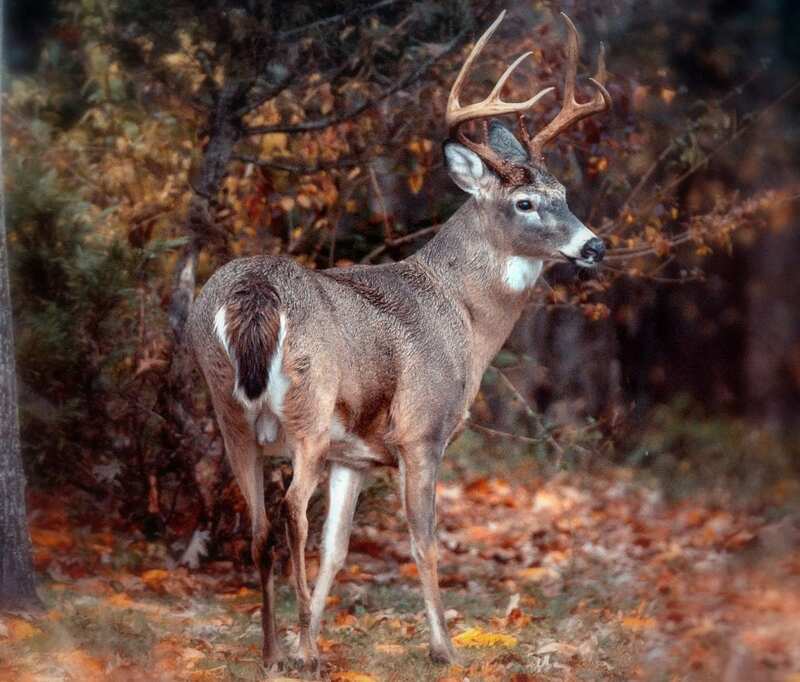 Hunters may substitute a bow or a crossbow during the buck firearms season. The bag limit during the two-week buck firearms season is two — one on the base license and one on a resident or nonresident stamp. A hunter may take no more than three antlered deer per calendar year in archery, crossbow, and firearms seasons combined. A hunter may harvest two deer per day, but only one antlered deer may be harvested per day. The first deer does not have to be electronically registered before harvesting the second deer in the same day. However, all deer legally harvested must be electronically registered and legally tagged before hunting during a subsequent day. The last day to purchase an additional buck deer gun tag (Class RG/RRG Stamp) is Sunday, Nov. 18. Class RG and Class RRG additional buck stamps can only be used to take an additional antlered deer during buck firearms season. Unused Class RG and Class RRG stamps may not be used in antlerless or muzzleloader seasons. Fifty-one counties are open to concurrent antlerless deer season hunting during the traditional buck firearms season. Class N (resident) or Class NN non-resident) stamps to hunt during the antlerless deer season can be purchased at any time. Antlerless deer firearms season opens Nov. 19 on private land and specified public lands. Hunters should consult the regulations summary for specific antlerless deer season regulations in each county and wildlife management area. A bear firearms season without dogs will run concurrent with the buck firearms season in 51 of 55 counties, excluding Logan, Mingo, McDowell and Wyoming. Consult the regulations summary for specific information. In 2017, the traditional bucks-only firearm season harvest of antlered bucks was 44,127, a decrease of 4 percent from the 2016 harvest. This is 14 percent less than the 5-year average bucks-only firearm season harvest of 51,448 and ranks 35th among all past years. White oak mast will have the deer spread across the landscape, but the lack of other oak species will make it easier for hunters this year than last season. Field reports are showing a very healthy deer population and many good bucks available. Hunting licenses may be purchased online at any time and printed out on a home computer printer. Go online to WVHunt.com, fill out the application and purchase it over a secure server with a credit card. Hunters who wish to donate deer meat or money to the Hunters Helping the Hungry program, which distributes deer meat through the Mountaineer Food Bank and the Facing Hunger Food Bank, should call 304-924-6211 or visit the division website at WVDNR.gov to find a participating meat processor.